Here's the most comprehensive guide to shower pumps around. It's packed with helpful, honest advice for choosing the best shower pumps for your shower. Posted By Alan, 17th Oct 2017. 10 Minute Read. Do you need a shower pump? Nothing quite beats the ease and practicality of a shower does it? Whether you wake up to yours, enjoy one before going to bed or both, getting in and drenching yourself in clean warm water is a real luxury. Unless, of course, your shower is feeling the pressure - it may be that you need a shower pump installed, or if you already have one, it may just be a simple fix. We've collected everything you need to know and put it into this simple guide 'All You Need To Know About Shower Pumps' to help you choose the best shower pump for your setup. If you already have a shower pump, this guide will help you decide if your current pump can be fixed or if you need to replace it with a new one. Before we can answer the question 'What is a shower pump?' it's better to explain quickly how a shower works. When it's switched on, water is fed into the hose, or into the unit first to be heated if you have an electric shower, which then travels upwards toward the shower head which then sprays out and showers you. For the water to travel upwards it needs to go against gravity and this is where water pressure comes in. Depending on the distance the water needs to travel will require a variety of water pressures (measured in bars). If the water pressure is too low, then the spray from the shower head will typically be a dribble; not quite the shower effect we'd all hope for huh! A shower pump is a small device measuring around 30cm in length (although sizes do vary and can be much smaller and much larger) which boosts water pressure in your pipes by increasing the volume of water which is pumped through your pipes. The improved water pressure is visible at the shower head where the force of the spray becomes greater as the pressure and flow rate increases. Knowing if you need a shower pump is not always as easy at it sounds. You may have a trickling shower and very low water pressure, so in this case it will be obvious that a shower pump is required. The problem is, a lot of people wash themselves each day in a shower that just does enough to make them believe there isn't an issue, but it just isn't making for the perfect experience. As soon as you go for a large shower heads or a power shower, you'll suddenly see the issue with low water pressure. So, how do the experts check if you need a shower pump? This trick is so easy, even Homer Simpson could do it. Simply check your water pressure! Note down your time and use this simple calculation to find out if you have good or bad water pressure. 60 / (time) = (x) litres per minute. So if your time is 9 seconds, calculate 60 divided by 9 = 6.67 litres per minute. If it takes longer than 8 seconds to fill your 1 litre jug, then you have a poor flow rate which is probably due to low water pressure. If in doubt, get a plumber to take a look for you. 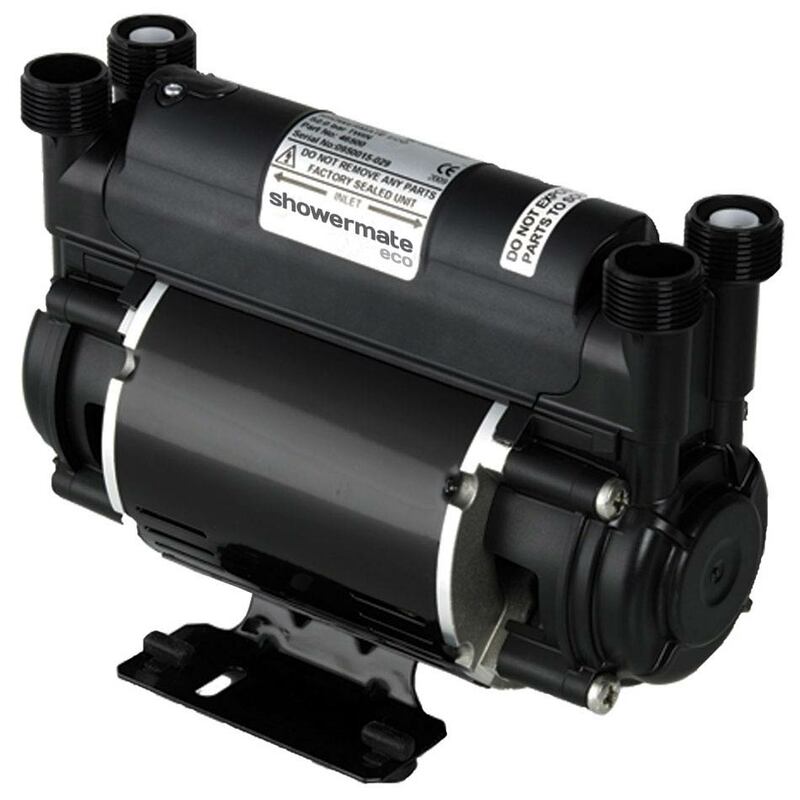 If your water pressure is low then you'll need a shower pump to help boost your shower power! There are lots of shower pumps available and it's important that you get the right one for your shower. You're probably asking yourself 'What shower pump do i need?' but don't worry, it's pretty straight forward stuff. Water pumps for showers vary in brand, type, bar size and performance, so the best place to start is choosing the one that provides the correct pressure. When looking at shower pumps, you'll notice that they're listed with a pressure rating e.g. 1 bar shower pumps. Below is a list of common shower pump sizes and a description of when they should be used. ● 1 bar shower pumps - A 1 bar shower pump is ideal for small shower heads. 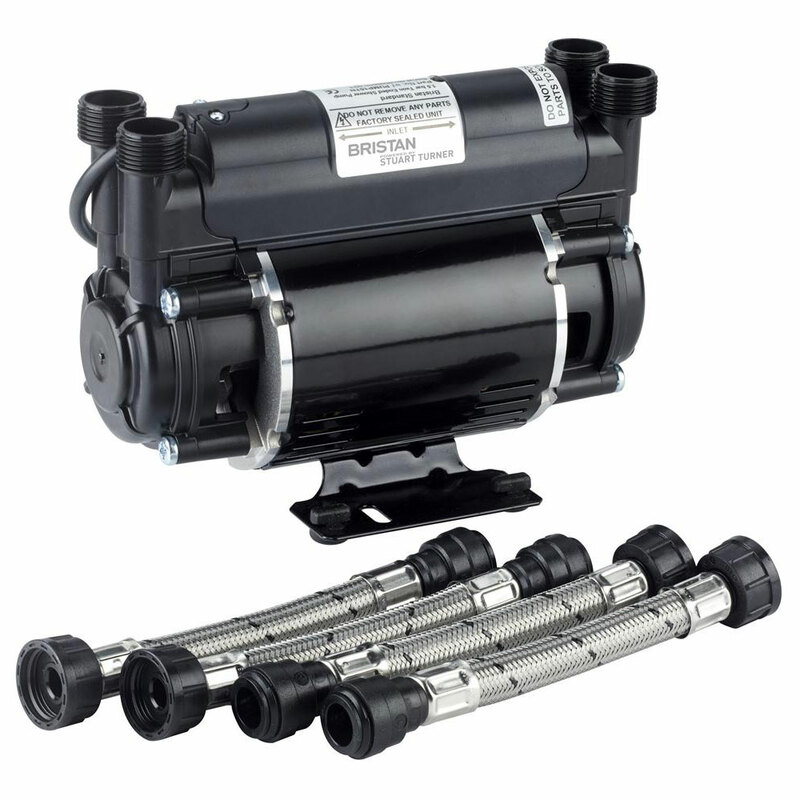 ● 1.5 bar shower pumps - A 1.5 bar shower pump is best suited to normal showers needing more pressure. ● 2 bar shower pumps - A 2 bar shower pump is also best for low pressure showers. ● 2.5 bar shower pumps - A 2.5 bar shower pump will be required for power showers and larger shower heads, where a larger flow of water at high pressure is needed. ● 3 bar shower pumps - A 3 bar shower pump will be required for power showers and larger shower heads, where a larger flow of water is needed. Some showers have body jets and also require higher rates of water pressure which can be handled by 3 bar shower pumps and larger sizes. There are more bar sizes such as 1.8 bar shower pumps and 4 bar shower pumps for example, although the list above can also be referred to with these sizes as a rough idea of what they're best used for. For example, a 1.8 bar shower pump will be be the perfect in between option for 1.5 bar and 2 bar shower pumps. Once you know which shower pump bar size is required, it's time to choose the flow rate, commonly known as performance, you need from your pump. A shower pump is designed to increase the water pressure in your pipes, but when it comes to performance that isn't the only thing you need to look for. Each shower pump will have its own flow rate, which is the amount of litres per minute it can pump out at the given pressure. Remember the calculation we learned earlier in the 'How to check water pressure like pro' section? 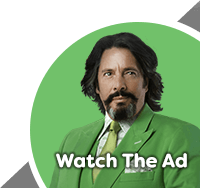 This performance is important when factoring in cost. A higher-priced shower pump may produce the same 3 bar pressure as a cheaper alternative, yet produce a much higher flow rate. The cheaper 3 bar shower pump may be able to increase the pressure of the water equally as good, but it can't produce as much of that high-pressure water as the more expensive pump per minute. This could cause issues with a power shower for example, which requires a large volume of water per minute to operate at its best. When choosing the best shower pump for your needs, the flow rate is also important to know. Once you know what sort of performance you're looking for, it's time to choose the type of pump you need. When deciding on a shower pump you'll need to decide from a wide range of options. It can all get a bit confusing if you just 'point and shoot', but with this guide we'll simplify this decision-making process by outlining the many different types of shower pumps below. First of all, you'll need to choose whether you want a single or twin shower pump. ● Single shower pumps - A single shower pump, also known as a single impeller pump, is designed to improve just one feed. This is usually the hot water feed although it can be used for cold water feeds and mixed water feeds. ● Twin shower pumps - A twin shower pump, also known as a twin impeller pump, increases the pressure in both hot and cold water feeds. This makes them much more desirable and therefore the most popular option. Once you've decided between single and twin pumps, you'll need to choose whether you need a positive head shower pump or a negative head shower pump. When deciding if you need a positive or negative head shower pump it isn't always straight forward. Here at Victorian Plumbing, we recommend you find this information out from a registered installer to be completely sure. Below is a guide to positive and negative heads and a simple explanation for the traditional DIYer so that you may be able to choose without speaking to a professional. From one home to another you will find different water systems. Choosing between positive and negative head shower pumps comes down to the type of water system in yours. One thing that both of these options have in common is that they're both designed to be fitted to open-vented hot and cold water supplies. ● Positive head shower pumps - When a shower pump is installed, if it is gravity fed it'll usually require installing below the water tank. The distance below the tank is approximately 1 meter and is known as the head. This is where the term positive head shower pumps come in. Positive head shower pumps are the most common options. ● Negative head shower pumps - If you're asking yourself 'what is a negative head shower pump?' then you're not alone. It's quite simple though once it is explained. Negative head shower pumps are placed above a cold water tank, or level with them if needed, and draws water from the tank and forces it towards the shower. They're used in homes which don't have the room below the tank. Once you have picked between single and twin pumps, and understand negative and positive head shower pumps, it's time to choose the type of shower pump that you think will be best for your shower. 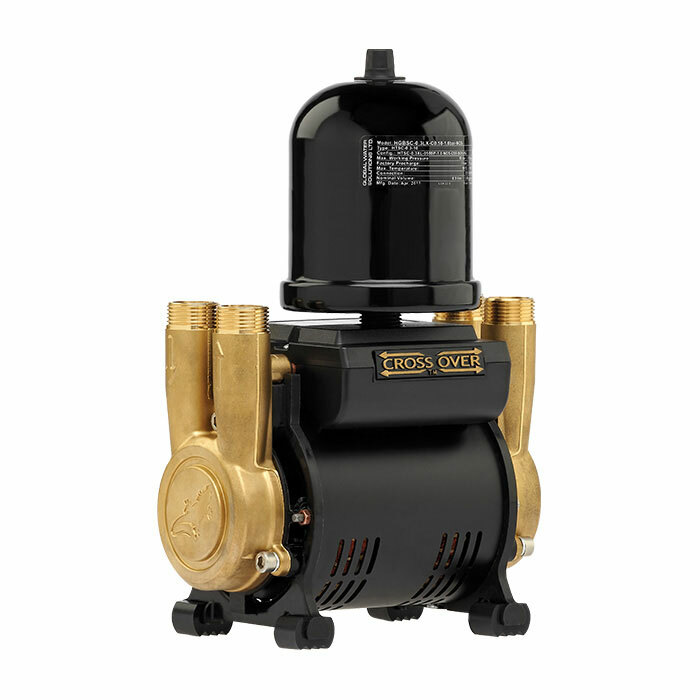 There are two main types of pump; these are universal shower pumps and standard shower pumps. Shower pumps are designed to accommodate a variety of systems and setups and depending on yours, you will require either standard or universal. ● Standard shower pumps - A standard shower pump is the perfect solution for boosting the flow in open vented hot and cold systems. As long as there is a minimum gravity flow of 0.6 litres per minute and a positive head present, this type of shower pump will do what you need. ● Universal shower pumps - If you're unsure whether you have a negative or positive head then a fully automatic, universal shower pump will be best for you. As it is fully automatic, it'll perform under both positive and negative head conditions and doesn't require a minimum gravity flow of water to work. A universal shower pump can also be installed into open vented hot and cold systems. ● Unvented Systems - For unvented water systems, please speak to a professional who can help you further. A vented system is usually located in the attic (loft). It's the old style water cylinder which uses gravity and a vent pipe to supply the home with hot water. Unvented systems on the other hand tap directly into the mains and generally have no major issue with water pressure. This is because the mains supply pressure is maintained by utilities companies and are usually kept in order. Finally, there are two last options that you can choose from, centrifugal and regenerative shower pumps. ● Centrifugal shower pumps - A centrifugal shower pump is designed to draw in water and thrust it out towards the shower under higher pressure; created by an internal impeller. 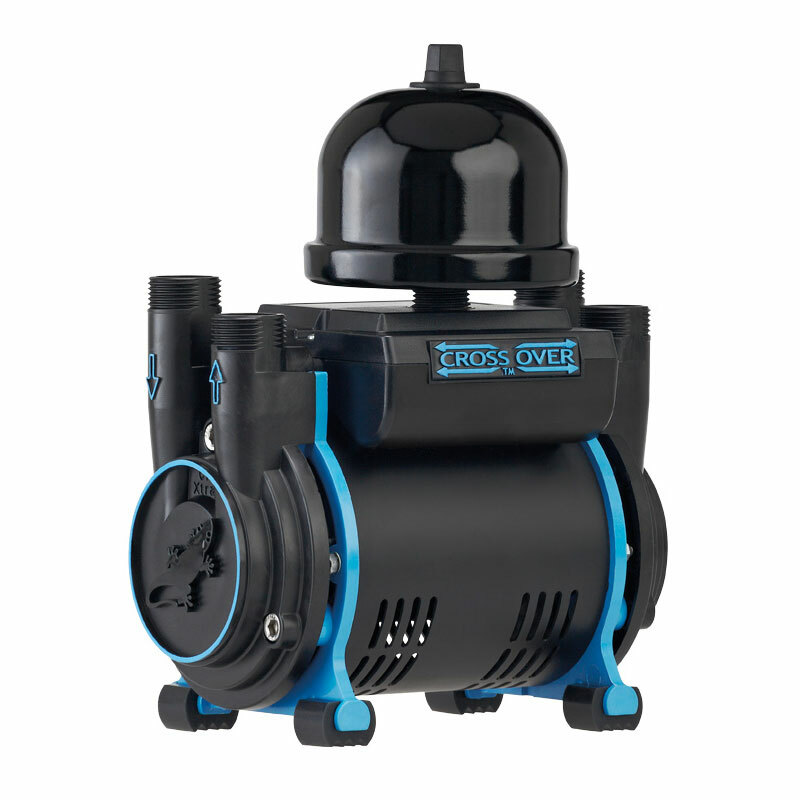 These pumps are extremely efficient and are generally quieter. For higher pressures, multiple impellers can be added to the pump in order to create improved pressure as the water reaches each next impeller (also known as a stage). Centrifugal shower pumps which have more than one impeller are often referred to as multistage centrifugal pumps. ● Regenerative shower pumps - A regenerative shower pump is designed to deal with air that can get into the system. No shower pump is impervious to air, however regenerative pumps tend to be affected that little bit less. They're also easier to install and can work around pipework which contains lots of bends. The final benefit of regenerative shower pumps is their cost. They're cheaper to buy which makes them much more popular when you take the other benefits into account. If you're interested in a quiet or silent shower pump then continue reading for more information about these. A quiet shower pump is exactly what you're thinking, quiet. Shower pumps perform a tough task turning trickles into torrents so it's understandable that they can sometimes be a little noisy. if you don't choose a quiet shower pump and find it's too noisy at a later date there are shower pump noise reduction kits that you can buy. Pumps usually seem louder at night. Through the day, typical daily noise will generally cancel out the sound, but they really become more prominent in the dead of night. If this is an issue then you could choose a setup on a timer so that the pump is inactive during certain hours. 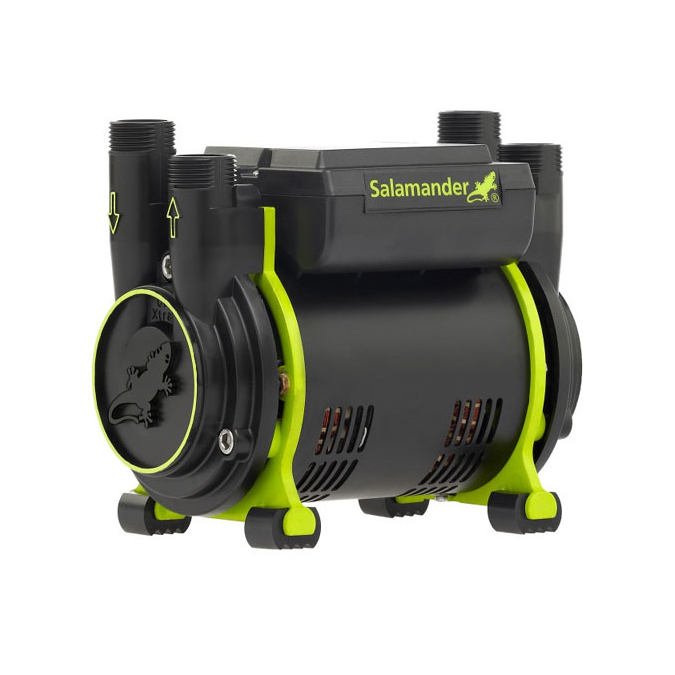 One of the quietest shower pumps available is the Salamander CT Force 15TU - in fact, at just 48dB it's the quietest twin brass regenerative shower pump in the UK. Other ways to keep your shower pump quiet is to fix it against a solid surface which will help soak up some of the vibration of the pump. A concrete block or something alike will usually do the trick. You could also purchase a shower pump anti vibration mat. They too absorb the vibrations caused by the pump and can drastically reduce noise. At the end of the day, a working pump will never truly be silent so a noisy pump is normal. If you think your pump is making excessive noise or whining noises then there could be something wrong with it so do get it checked out by a professional.